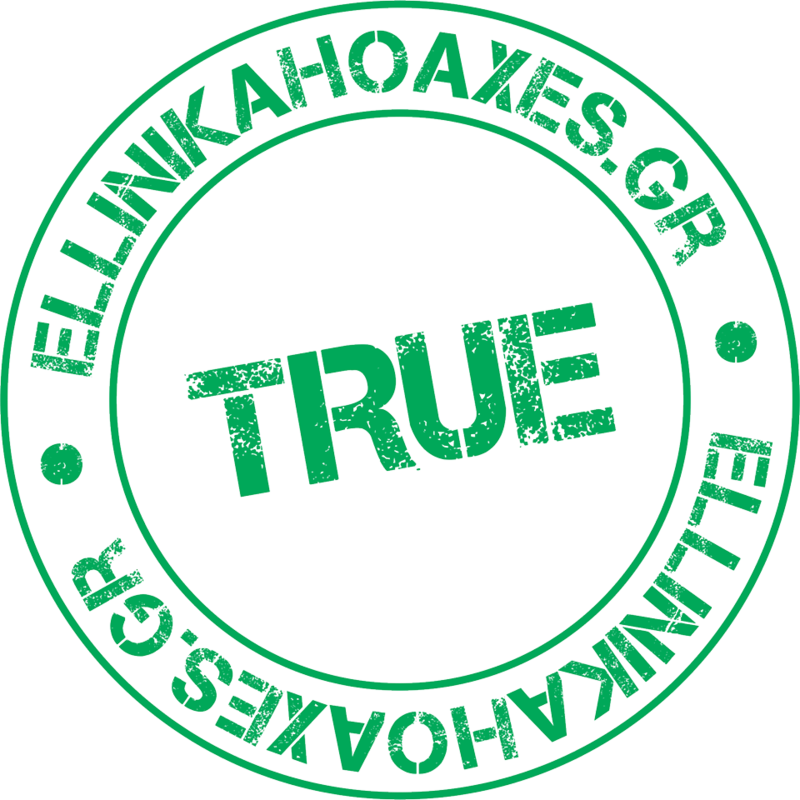 Ellinika Hoaxes is a Greek independent fact-checking website operating as an NGO. It fact-checks a broad range of stories, from current affairs to conspiracy theories, health myths and pseudoscience, circulating in Greece's online sphere and abroad. It occasionally showcases a sensationalist approach to what has been termed 'fake news', as a poll asking its readers to vote for the 'best hoaxes of 2018' exemplifies, but it seems to be trying to raise awareness and engage its readers. It would be useful to provide statistics for the reader-submitted fact-checks as it would clarify how the Greek public approach the issue of disinformation and what kind of 'fake news' reach them. For example Ellinika Hoaxes fact-checks quite a few stories published on Greek conspiracy theory and far-right websites but it would be helpful to see if these were sourced from the readers themselves. Additionally, the site's decision to include tips for things to watch out for so readers can develop a critical eye able to spot fake news themselves is commendable. Ellinika Hoaxes was found to be mostly compliant with the IFCN code of principles and did act on initial recommendations. The only issues I would like to raise was the lack of enough submissions of political articles to showcase the absence of partisanship and the lack of a clarification of what gets fact-checked and what not, as well as statistics in terms of the reader-submitted stories. Therefore I recommend for Ellinika Hoaxes to be accepted as a signatory. 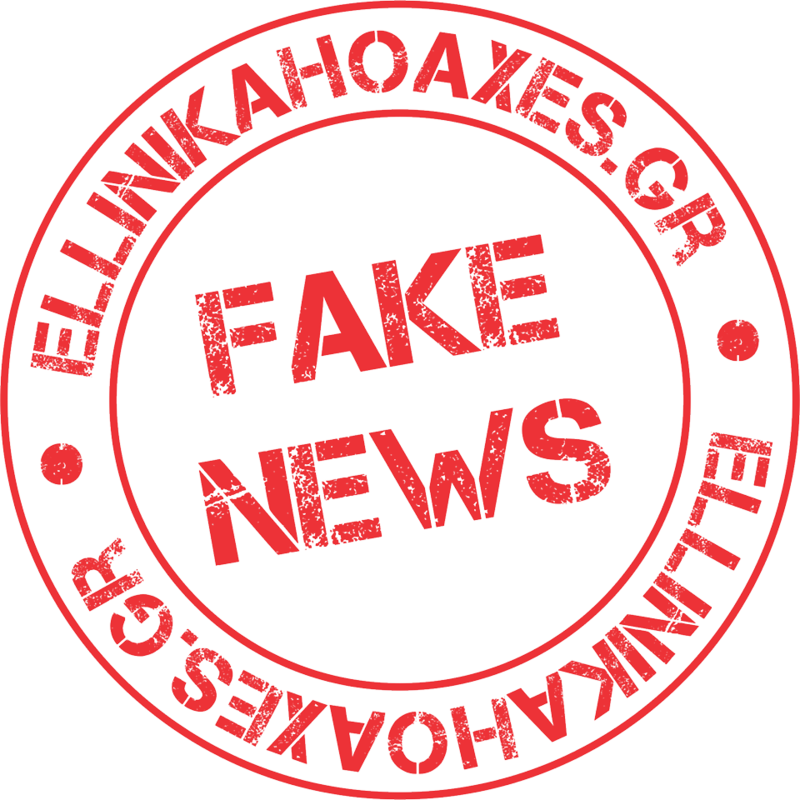 Ellinika Hoaxes is a Greek fact-checking website, registered as an NGO with the stated goal of tackling disinformation and is based in the country's second biggest city, Thessaloniki. It was founded by four individuals and its legal registration details the scope of its planned activities which will involve fact-checking, development of online tools to spot fake news, organising conferences, seminars, and generally raising awareness about disinformation. The company has provided proof it was established legally in November 2018 but the team states on its website it has been operational since 2013.
done_all 1a marked as Fully compliant by Sophia Ignatidou. Our fact checks are not registered specificaly by date but according to their category. In the past 3 months, we have publiced 87 fact-checks, out of a total of 2722 articles (fact-checks) that we have publliced since the beggining of our initiative in 2013. 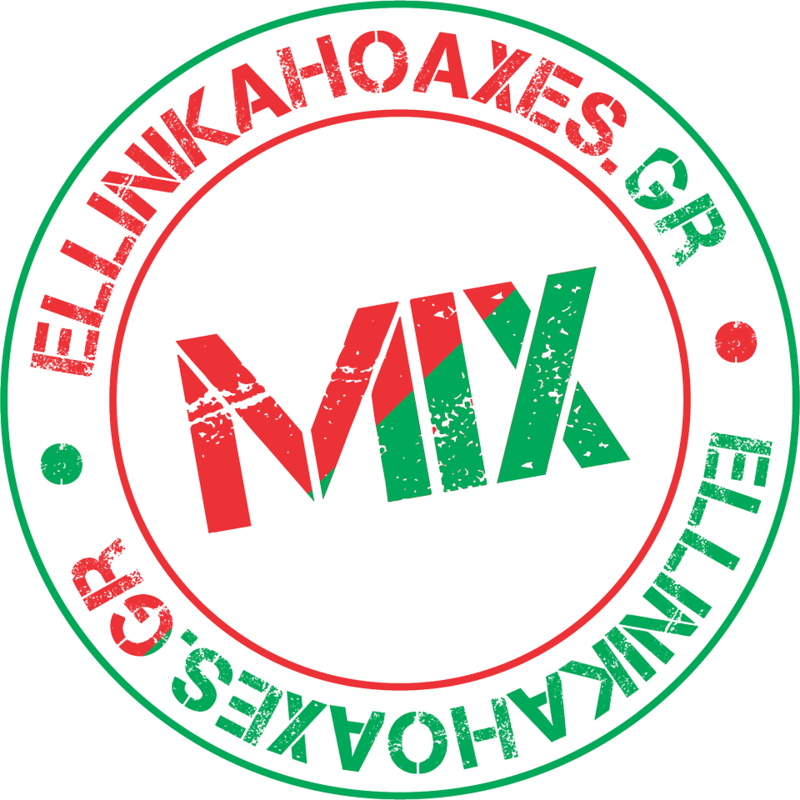 You can view all our articles sorted by date on the following link https://www.ellinikahoaxes.gr/homepage-blog/. To view all the categories, you can use the dropdown on the nagivation menu. Please note that some of our articles may be eligible for more than one category. The website posts at least one fact-check per week, usually even more, although the policy regarding what is fact-checkable and what is not is unclear. done_all 1b marked as Fully compliant by Sophia Ignatidou. 2a criterion updated with articles about "History and myths" and "Conspiracy theories"
Our fact-checking activity includes issues such as politics, pseudoscience, racist and xenophobic fake news, fake claims that proliferate through social media, historical hoaxes etc. With this wide range of topics, we often use the voluntary help of scientists and specialists. A full list of them can be found here: https://www.ellinikahoaxes.gr/scientific-advisers. We support full nonpartisanship and therefore, our staff is not allowed to be members of any political party. This man is under investigation by the Greek Authorities as we speak. As it is mentioned above, we support full nonpartisanship. Our articles have often revealed pro-goverment fake news (one example about the recent devestating wildfires is here: https://www.ellinikahoaxes.gr/2018/08/26/archikes-esties-fotias/) and anti-goverment fake news (one example is here: https://www.ellinikahoaxes.gr/2017/09/18/adonis-signomi-se-politi/). We often debunk fake news and scams that proliferate through social media. Here we debunk pseudohistory and various myths that are popular in Greece. Here are two examples. Several conspiracy theories are quite popular in Greece. Here are two examples. The submitted samples include articles about scams by impostors pretending to be established academics or doctors, rumors going viral, social media posts or misstatements by politicians. The political content of the website, where it exists, does not display signs of partisanship. done_all 2a marked as Fully compliant by Sophia Ignatidou. Our staff are forbidden from being members to any political party, as it is specifically stated here: https://www.ellinikahoaxes.gr/financing-indepedence/. We do not accept donations or any kind of reimbursment by any bussines, individual, media etc, that may be affiliated to any political party. Ellinika Hoaxe's charter (which was provided) clearly states staff members are not allowed to be or become members of any political party and highlights their independence from political, religious and governmental influence. done_all 2b marked as Fully compliant by Sophia Ignatidou. Can you please elaborate on "More consistency in terms of presentation would be useful"? Most of the claims we receive for review come from our readers and are reviewed by the first available member of our editorial team. Then, it is evaluated by the rest of the team and it is decided whether the topic for research matches the role of Greek Hoaxes. Then, a member undertakes the preliminary investigation and writes a draft of the facts, which will then be checked for any errors and omissions before we publish our article. Our research starts (whenever possible) with an attempt to contact the source of the claim. We also try to communicate with individuals and organizations or authorities who may be familiar with or have relevant expertise on this issue. The data we use is always multifaceted, impartial, reputable and relevant with the subject we are investigating. We always try to double check them from multiple sources which include but are not limited to, published scientific research, reputable news outlets, interviews, statistical data etc. We always provide links to our sources so that our readers can verify our fact-check. The final article will go through the hands of at least one of the senior editors. If at least one author considers that any piece does not fall within our standards, it is subjected to further review before publice. Also, we always archive the claims that we fact-check ( web.archive.org , or archive.is etc), so as to make sure that they will not be changed, or otherwise corrupted and most importantly, for our readers to be able to check the original claim themselves). Our methodology is explained in detail in the following link https://www.ellinikahoaxes.gr/transparency-and-methodology . Also, we often use the expertise of a pool of scientists and specialists, and a list that mentions them can be found here: https://www.ellinikahoaxes.gr/scientific-advisers . Articles do contain links to statements or other articles proving the fact-checked news are false, as well as email correspondence in jpeg format so readers can have access to parts of the fact-checking process. Archiving the fact-checked articles is also commendable. More consistency in terms of presentation would be useful. done_all 3a marked as Fully compliant by Sophia Ignatidou. As an non profit organization, we do not receive any kind of funding. The ads that appear in our website are used by Athens Voice (athensvoice.gr), who in return provide us with technical support and hosting. For details you can refer to https://www.ellinikahoaxes.gr/financing-indepedence/. Update: We added a sentence on the article above ("Δεν δεχόμαστε σχετικά διαφημιστικά έσοδα.") to clarify that we do not accept any of the ad income. We also added "Τη διαχείριση της διαφήμισης την έχουμε παραχωρήσει στην Athens Voice η οποία μας διαθέτει server και τεχνικό για την σελίδα μας. Δεν δεχόμαστε σχετικά διαφημιστικά έσοδα, και όλα τα έσοδα των διαφημίσεων, καταλήγουν στην Athens Voice, η οποία ως αντάλλαγμα, καλύπτει τα έξοδα του server και του τεχνικού συμβούλου. Η Athens Voice όχι μόνο δεν έχει καμία σχέση με την επιλογή της θεματολογίας μας, αλλά πολλές φορές στο παρελθόν έχουμε διαψεύσει άρθρα της. Σχετικά παραδείγματα εδώ, εδώ, εδώ και εδώ." , where we provide further explaination that funds from ads go to Athens Voice in exchange for hosting and technical support, and examples of articles that prove that Athens Voice does not control the choice or content of our fact-checked articles. Ellinika Hoaxes states that apart from the limited funds its founders submitted to establish the NGO, the site does not receive any external funding and any contributors are writing voluntarily. The site clarifies though that the limited online ads they have, are managed by another Greek media outlet, Athens Voice, which provides Ellinika Hoaxes with a server and technical support in exchange. As stated, Athens Voice is not involved in their editorial decisions in any way. done_all 4a marked as Fully compliant by Sophia Ignatidou. The names and biographies of the key actors are listed, as well as the external scientific advisers with hyperlinks to the professional profiles of any contributing academics. Recommendation: it would be useful to add individuals' emails or Twitter handles so communication with them is easier. done_all 4b marked as Fully compliant by Sophia Ignatidou. 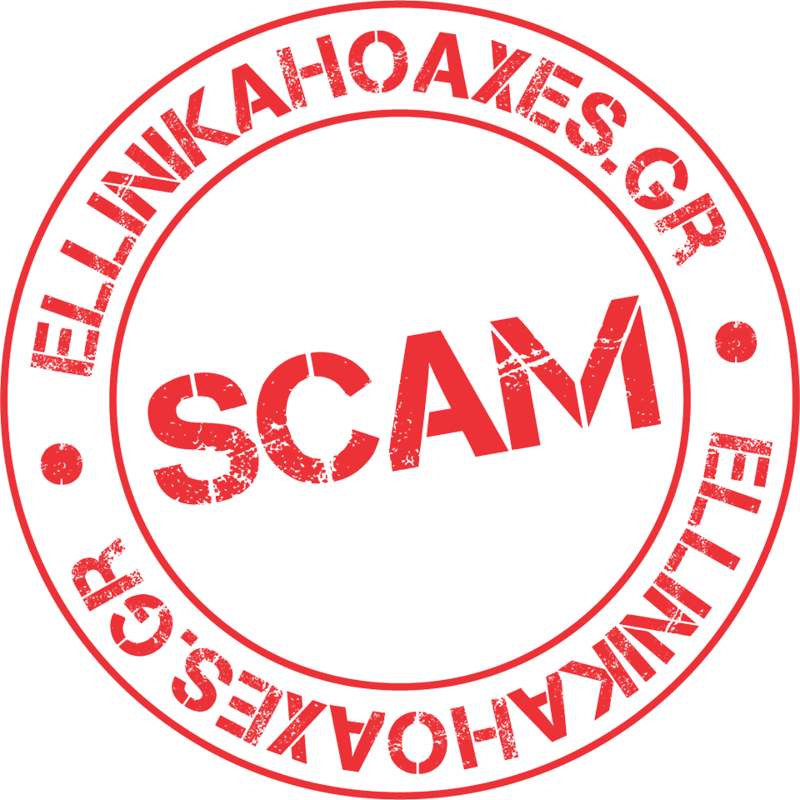 Our readers can contact us via contact form, email, or our page in Facebook, as it is stated here: https://www.ellinikahoaxes.gr/contact-us/. It's really easy to get in touch with the team of Ellinika Hoaxes as the contact page is one of the main categories at the top menu. done_all 4c marked as Fully compliant by Sophia Ignatidou. Here we state our methodology, we present examples of articles regarding the tools we use, and provide a brief explaination of the characterization and categorization of our debunks https://www.ellinikahoaxes.gr/transparency-and-methodology . Our methodology has been updated with specific examples. Regarding the uses a series of tags to label news stories, which are colored red at the beginning of each article, we also use a series of stamps on primary picture of every article, so that our readers know right away what kind of debunk we are presenting. Examples of stamps attached. Ellinika Hoaxes' methodology states their limited financial and staff resources constrain the amount of articles they can fact-check. Nevertheless, it seems readers' requests is the predominant determinant of what will get covered. Although the willingness to listen to their readers is commendable, it does result in an output that is somewhat thematically haphazard. It would be useful to have public statistics in terms what percentage of the fact-checked articles get requested by the readers and what gets sourced by the Ellinika Hoaxes team, to get a clearer idea of the site's direction. Nevertheless, current affairs related content gets fact-checked too. The website's methodology page states stories that have received lots of online engagement or false health stories are prioritised in order to protect the public from misdiagnosing their condition and potentially seeking the wrong remedies. Ellinika Hoaxes uses a series of tags to label news stories it fact-checks: 'Clickbait', 'Like Farming', 'Pseudoscience', 'True', 'False', 'False allegation', 'Fear-mongering' and 'Mixing facts and fiction', but even though those are coloured, they're difficult to spot. The site added stamps with titles 'Scam', 'Fake news', etc that are more visible and provide an immediate determination of the nature of the article that got fact-checked. done_all 5a marked as Fully compliant by Sophia Ignatidou. Update: We configured our header menu, placing a "send us your suggestions" button, right next to the "contact" button, thus making it more prominent. We also updated our contact form to make it more user friendly, removing the mandatory input of a name, replacing the old CAPTCHA validation with the new invisible reCAPTCHA, and adding the option of sending up to 5MB of files relative to the suggestion. The website has a dedicated section titled 'send us your suggestions' where readers are urged to send stories to get fact-checked or request corrections to already published material on the Ellinika Hoaxes website. Readers can submit claims for fact-checking through the main email of Ellinika Hoaxes, the website's Facebook group, or a contact form. done 5b marked as Partially compliant by Sophia Ignatidou. In the same link as above, we state our correction policy and how readers can reach us if the want to submit a correction https://www.ellinikahoaxes.gr/correction-policy-and-participation/. Update: The article has been adjusted according to the recommendations. Following recommendations, Ellinika Hoaxes added an additional section ('Send us your suggestions') at the main menu, urging readers to get in touch with articles that need fact-checking. Guidelines in terms of what readers can provide along with their submissions and a timeframe for corrections are also provided. done_all 6a marked as Fully compliant by Sophia Ignatidou. Two articles were submitted that were partly corrected or updated, with the correction added at the end of the original article and marked by an additional sub-heading. It would be advisable to devise a way to make the corrections more prominent and maybe add an additional time stamp so readers are aware of how long it took for a correction to be made. The applicant does not have a dedicated page for published corrections. done_all 6b marked as Fully compliant by Sophia Ignatidou.